( CNS): In what will be government's fifth amendment to the immigration law since it took office, the next set of changes will address a variety of issues, from making it easier for the grandchildren of Caymanians living overseas to claim status to the introduction of a visitors work visa. Government says the changes are aimed at promoting inward investment by offering residency to the wealthy, assisting local businesses by introducing streamlined entry procedures and addressing anomalies in relation to caregivers’ certificates. It also says changes to the Immigration Appeals Tribunal will help reduce the backlog but those changes in particular may give significant cause for concern to employers and employees. When the Legislative Assembly next resumes the premier is expected to bring the amendments that will see the number of people who can sit as tribunal chairs increased from two to five and the membership from 12 people to an undefined panel of persons. Despite the increase in potential people that can sit on a tribunal, the quorum has been reduced from five to only two people plus the chair, leaving as few as three people to have the final sayon disputed immigration decisions. According to Ezzard Miller, the independent member for North Side, government has also removed the requirement to take minutes at tribunals, which he says could have serious implications especially for future freedom of information requests by people affected by closed door decisions. He said the new law has been changed from “the secretary shall be required” to keep the minutes to “may record”, leading to the obvious conclusion that it will be possible now for three people behind closed doors to may key decisions with no written record. Describing the move as “extremely alarming”, Miller expressed his concern over the changes, which he could not support. The law includes many different changes, including the offer of residency rights to people setting up businesses in Cayman with a workforce of now 30% Cayman employees, down from 50% Caymanians, as well as allowing people of independent means who have received residency rights based on a private income of more than $150,000 to work in specified occupations. Overseas investors with 10% ownership or more in as yet unspecified approved category of businesses or who is a senior manager in an approved business will also be offered access to permanent residency. The law also removes the long term residency requirement for the descendants of Caymanians born overseas, making it easier for those with Caymanian grandparents to get status. In addition, the bill addresses the problems faced by sports fishermen, making clearance easier for those going on long expeditions for recreational fishing. Although government is bringing a long list of changes with this amendment bill, Miller said he was disappointed that there is still no sign of what government proposes to do about the one main issue that it says it wants to change, which is rollover. “This is Immigration amendment number five but the main issue of rollover has not been addressed,’ he said. “We still don't know what they are considering and we haven’t seen any details of the proposals to replace the term limit, despite its significance. We would have expected that the next major immigration amendment, as this is, would have addressed the issue. It’s what everyone wants settled,” Miller added. See immigration amendment bill no 5 below. I am an ex-pat too and I am happy that you Patricia X (not verified) on Fri, 01/27/2012 – 12:59 is leaving the Cayman Islands. You seems to be very angry and jealous with the Cayman people. I came here 36 years ago and I have lived and gelIed with the Caymanians. I am fairly successful and I do my part without any fear or force and contribute to the island. What have you done except to bash the Caymanians. From the tone of your blog you are very unhappy so maybe it is time for you to leave. Many people are lonely because they build walls instead of bridges. What about the childfren born overseas of mothers who have Cayman Status? I guess they always fall through the cracks. The important amendments by the IRT which relate to PR, business ownership, and lowering requirements, which will be passed into law by the present UDP majority is simply the continuation of this government selling out the country and Caymanians. Look at who sits on the IRT and who will benefit, it is those immigration consultants and lawyers who stand to financially benefit and will help the UDP increase the population increase by a minimum 20k people. This has been the objective of the UDP and the Deputy Chairperson who heads up the IRT from the beginning. These new amendments make it easier for everybody to qualify for PR. Where are the regulations that support the law? Why havent the IRT clarified the Roll Over situation? First mass status grants in 2003 and now all their friends will get PR whilst companies like Bodden’s and Baraud’s make all the money giving expert Immigration advice. Some of these people involved and those that support the amendments have no shame. They were the same ones advising the UDP government in 2003 during the lottery. This is Another UDP immigration disaster that will not fix the issues the country is currently facing. In case they forgot Caymanians are struggling now, cant find jobs and this UDP government has failed to manage the country now given the current state of affairs. What makes these experts think that will things get better by increasing the population? I am so sick and tired of immigration everywhere…I think immigration is a bunch of thugs and bullies whom they really want to bully. 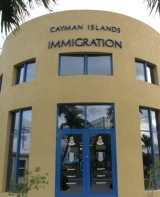 Now that we have brought up the issue of immigration,something the Cayman islands Immigration need to know ….is that for years upon years my family and I also some of our Caymanian friends whom has experience this has been harrass by the Miami U.S.A Immigration. We have been insulted by them and tested for drugs by them(we dont even smoke) even pull over many times being in the line by them and even been accused of being called a Caymanian liar by them as they took us in a back room for hours with inappropriate questions unknown to us!!! Also threathen us with deportation for no apparent reason??? Now for the real facts here…our family has never done drugs in our entire lives! Our family has been working in the Government offices for many years! Our family members includes elected member of four goverment officials….Also five immigration family officials which also includes members of the R.C.I.P department. We are hard working decent Caymanian Citizens and we are sick and tired of being harrass by the" Miami U.S.A Immigration" who cant seem to "STOP HARASSING US! We got to the point after so many years of being harrass by them that we had to get a lawyer and our lawyers contacted them and told them all if we are harrass anymore we will file a legal lawsuit against the U.S Immigration for it only means a sign of discrimination against us! Now come to find out we will only harrass by the "Miami Immigration, to make it more worst none of them spoke American or was even consider to be Americans. As a born and bred Caymanian we have always admire the American people and we have nothing against the American people whom we love and respect…I dont know what the U.S.A Immigration has against the Caymanian people, but they cant let one apple spoil the whole pot! Miami Immigration we want you all to know that we are good loving respected people with a good heart but for crying out loud give us a break!!! "…none of them spoke American". Since when is 'American' a language? Try being an expat in Grand Cayman. What you call harrassment and discrimination is legal at points of entry in the US. Oh, we’ll see of what limited value this is. Still no rights for parents of Caymanian children. We are left to drift in the wind, and our children to suffer at the whims of Taliban-style immigration laws, whereby Government can raise fees at will (nearly four times in my case) for PR. Shameful! I hope our lawmakers come to their senses. Just FYI my child is legitimate, not that it matters to anyone but the haters. PR fees are illegal. Ask the Financial Secretary for a discretionary waiver of the PR fees and even if you do pay them, then get a decent lawyer to sue for the money back. How are PR fees illegal? They are written into the laws. Do you mean unconstitutional? Does the constitution say anything about PR fees? Discrimination of settled residents on the basis of national origin contrary to Article 14 of the ECHR in the context of Protocol 1 rights. Discretions should be exercised so as not to discriminate. Hence the letter to FS. They constitute unlawful discrimination against settled migrants as does the preference of Caymanians overother lawful residents when it comes to jobs, scholarships etc. The government was warned of this but made changes and signed us up to provisions that mean that any protection of or preferential treatment for Caymanians is almost certainly illegal. The first case to prove this was one foreign nationals were charged with fishing without a licence. It was thrown out on the basis that the law requiring only non Caymanians to have licences is illegal even though it is the law. Right said Fred are you gone nuts.? Apply for PR, apply to be naturalized, and apply for status if you qualify…there is a well established process for everyone – it doesn't matter where your children were born. Duh…… There are residency time requirements. If you do not meet them you have to cough up whatever unholy fees they want. Clearly you have no kids or knowledge of what we as single parents, with no flipping rights or recourse go through! Chum some of my immigration sh@t then I’ll listen to you I’ll informed two cents. He said the new law has been changed from “the secretary shall be required” to keep the minutes to “may record” – Mr. Governor-hello? Are you there? If you won't do anything about this blantant disregard for FOI, I am writing the Queen. "Overseas investors with 10% ownership or more in as yet unspecifiedapproved category of businesses or is a senior manager in an approved business will also be offered access to permanent residency." -This could be a disaster. Are we giving Romney Permanent Residency? "The bill addresses the problems faced by sports fishermen too making clearance easier for those coming into Cayman waters for recreational fishing." Great idea. As if we aren't overfished enough already. Chartered sport fishing in Cayman is nothing compared to other places. It has no impact on the pelagic species being fished. The bottom fishing and conch and lobster poaching is primarily a local "sport" . Here yes, but not in England or Canada or the United States. Why do you care about those countries? Do you live in one of them? Or do you think Cayman should follow all mistakes made by countries the world over simply to invoke some simple-minded and erroneous notion of fairness? Or…would you rather not see Cayman succeed where other countries are failing? I care because I am going back to one of them in the future once I have made enough money here. Cayman is screwed in the long term, but either way, good or bad, I have no interest in the long term interests of the Cayman Islands. There! Patricia X. At least you've admitted it. You're here only to "make enough money" and have no long term interest in the Cayman Islands. Please leave asap and round up all the others who share your sentiments and take them with you. Thank God not all expats are like you! Patricia X is honest which is more than I can say for our politicians. Actually, come to think of it, I prefer Patricia X over my back stabbing work colleagues (Expat and Caymanians) and lying politicians. Each of those countries exercise policies and laws designed to protect employment opportunities for their own citizens ahead of foreign nationals. we are entitled, will remain entitled as our navel string is buried ya. those who want to criticize us its your thing do whsat you want to do, it will not break the resolve of many of us. Your definitely intitled to watch your future go down the drain as you are resolved to not change your ways and we are only intitled to watch. Too bad. And your choice. There are some good amendments in there but can anyone say status grants again. Through the back door. He will soon have his 100k people. We are selling out fast. The two year extension on final work permits is just stalling the inevitable. Why don't they just change the term limit that an employee leaves from one year to 3-6 months? I thought this would have been discussed…..
Because a break under 12 months does not count as a break under international law. I think Ezzard was right on the mark when he said this was preposterous.